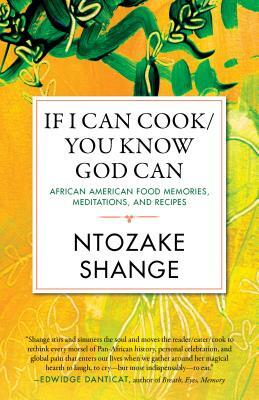 Acclaimed artist Ntozake Shange offers this delightfully eclectic tribute to black cuisine as a food of life that reflects the spirit and history of a people. With recipes such as "Cousin Eddie's Shark with Breadfruit" and "Collard Greens to Bring You Money," Shange instructs us in the nuances of a cuisine born on the slave ships of the Middle Passage, spiced by the jazz of Duke Ellington, and shared by all members of the African Diaspora. Rich with personal memories and historical insight, If I Can Cook/You Know God Can is a vivid story of the migration of a people, and the cuisine that marks their living legacy and celebration of taste.